Asheville Painting Begins New Project! 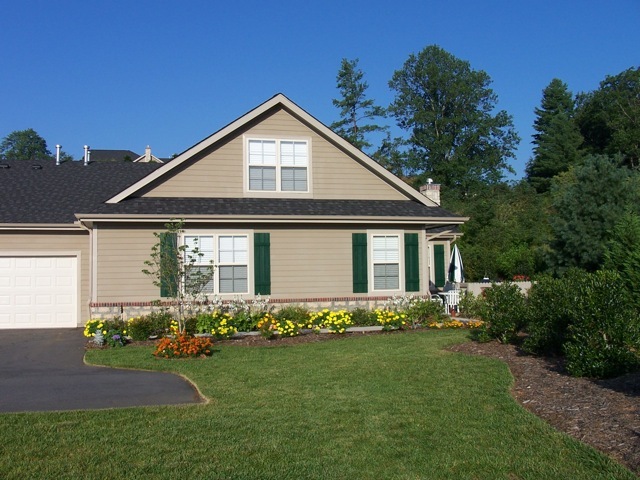 Did you know Asheville Painting works with HOA’s, communities and subdivisions? Asheville Painting’s newest project and the challenges we face. First, we would like to thank Craggy View Cottages for the opportunity to work with them. It is a great honor and privilege to be awarded this project and the chance to show what our company has to offer. We began working with the Homeowner’s Association last fall when they were beginning the first steps of gathering information, pricing and references for potential painting contractors. We prepared a initial estimate, and they said they would revisit the project in the spring. And as they promised when the weather got warmer we were contacted again to finalize our quote. We were awarded the contract in February and began the preparations for the project. Over the next four to six weeks we will be working on pressure washing and painting 15 buildings, or 48 units. Throughout this project we will not only be doing the work awarded to us, but focusing on customer service and making this project as pleasant as possible for all the residents, in spite of the challenges we face with exterior work. Working outside can be a challenge, especially in the mountains. Rain, snow and freezing temperatures are what most consider to be adverse weather conditions for painting. Two other weather factors that are easily forgotten are wind speed and wind chill. If the wind speeds are high and we are using a spray method there is a higher potential for over spray on areas that we do not want paint. Wind chill is another factor to consider-most paints today can be used when the outside temperature is a minimum of 35 degrees. This is helpful during the winter months when average temperature are in the 40’s. The wind chill however creates a harsh working environment. When possible we avoid working when the wind chill is freezing or below. Asheville Painting has been in the painting industry for over 13 years and knows how to handle the challenges that come along with any job. Our experience in a variety of areas allows us to have a range of skills that allow us to plan, prepare and execute projects. Being flexible is one of the strongest skills we can have along with sharing the process with our customers. This allows everyone to have a better understanding of our policies for inclement weather, schedule changes and why we make the decisions we do. I hope you enjoyed reading this blog about the upcoming project and challenges we face. If there is something you want to read about- Let us know! We are always looking for input from our readers!